Just read this good write up by Sergio Ortega , in 2010. If you want to use additional focal lengths, other than the normal 75 or 80mm, the Mamiya would obviously be your only choice. Mamiya’s 55mm is a great WA lens for 6×6. The Mamiya 180mm is a great portrait lens. The Mamiya range of focal lengths is very good, and there are some really excellent buys to be found. With a Rollei you’re only going to have the normal lens, unless you want to spend a ton of money on one of the very rare Rollei Wide or Tele versions. For the money, I don’t think you can get a better, more versatile, interchangeable-lens MF system than the Mamiya TLR. As a start in MF, it cannot be beat! I would say that both normal lenses on these cameras are excellent, but would give a slight edge to the Rollei Xenotar or Planar, if only for sheer sharpness across the entire aperture range, but not by much. And this may just be a bias on my part towards the more expensive, German glass. And I am also of the opinion that the older Rollei lenses (Xenars, Tessars, etc.) are not in the same league as the newer Xenotars and Planars, unless you stop them down to f8 or f11. In comparison, I would say the newer Mamiya lenses are better than the older Rollei (non Xenotar/Planar) lenses. It’s also my opinion that the newer Mamiya lenses perform better with color transparency films, giving greater contrast and color saturation than the older German Xenotars/Planars. The latest Rollei GX lenses are another matter. Color transparencies taken with the Mamiya 80mm have more snap, crackle and pop than the Rollei; the Xenotar has a more subdued, delicate look in color. Some folks prefer one over the other. In B&W, with a properly focussed shot on a tripod, at the lens’ optimum aperture, I usually cannot tell the difference. But, the Rollei Xenotar does have a certain smoothness of tone and gradation that the Mamiya does not always have. For B&W work, I think the Rollei is a great camera. For handheld work, I prefer the Rollei. It’s much lighter, smaller and easier to focus and manipulate than the Mamiya. It’s a great camera for unobtrusive photography, very quiet and very easy to handle. On a tripod, I prefer the Mamiya. It’s really better suited for tripod work, has a stronger tripod mounting attachment, and is generally more of a studio camera. Both cameras can be used in either situation, but the Mamiya can get pretty heavy and bulky when used handheld. The Rollei is amazingly light and agile as a handheld camera. The Bellows on the Mamiya allows for closer focussing for still lifes and some types of portraiture. 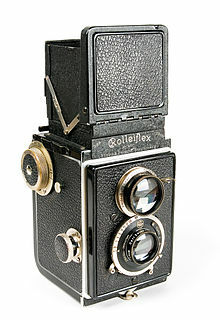 To focus up close with a Rollei, you need a Rolleinar lens set attachment. I really like the bellows focussing design on the Mamiya. Mechanically, the Mamiya feels like a truck, although a very well-built one. 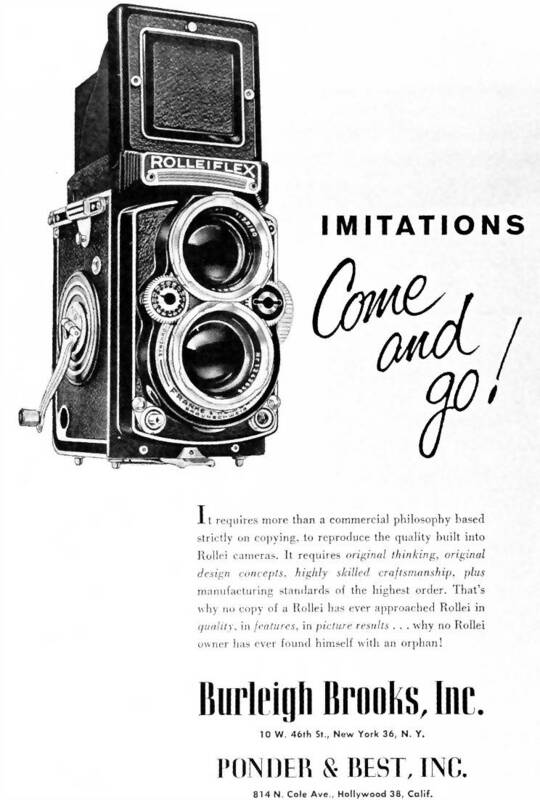 The Rollei feels more refined, much more precise, like a finely crafted sports car. While both are very sturdy, reliable cameras, I really think the Mamiya could withstand rougher treatment than a Rollei. I’d really hate to give a good Rollei a lot of rough use. The Rollei is a much more complex design; the Mamiya is a very straightforward, simple design. If something happens to the Rollei’s lens, the entire camera’s out of service. With a Mamiya, you can just remove the lens, replace it or have it repaired. I think that over the long haul the Mamiya would give fewer problems with shutters, film advance, focussing, etc. Prices on good, used Mamiya equipment are extremely reasonable. Good used Rolleis are getting harder (and more expensive) to find all the time. Accessories for the Rolleis (hoods, filters, caps, etc.) are really scarce. Mamiyas take simple screw-on lens attachments/filters. I’m sure others will add their opinions to this debate. It should be very interesting. Good luck, Sergio.